The media is once again pushing the narrative that global warming is behind extreme winter cold. However, many scientists disagree with this theory and there’s little evidence to back it up. “Cold waves have lessened over the past 50 years,” said one scientist. However, many scientists disagree that global warming is having the bizarre effect of making it colder in winter, despite the media’s narrative. “The bottom line is that folks claiming that cold waves are increasing in the U.S. are ignoring observations and the peer-reviewed literature that state the opposite,” University of Washington climate scientist Cliff Mass told The Daily Caller News Foundation. 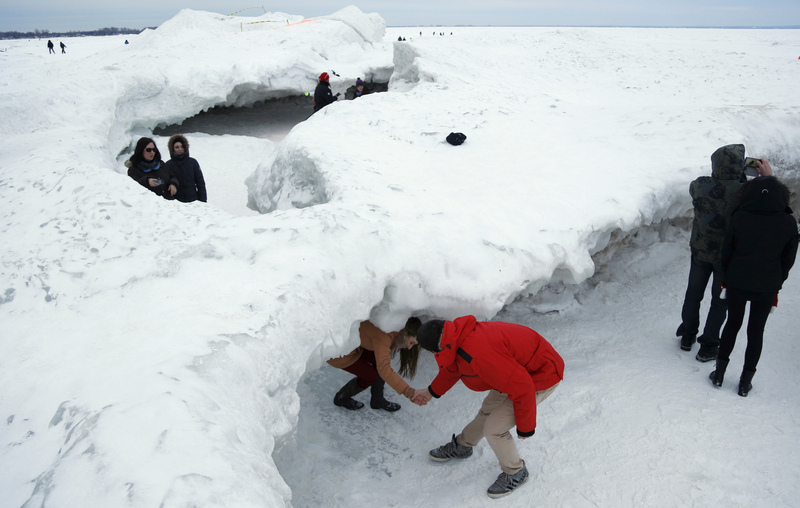 Sightseers make their way under an arch formed by shove ice piling up on the shores of Lake Erie, in Crystal Beach, Ontario February 17, 2014. REUTERS/Chris Helgren. Axios echoed that claim Monday evening, reporting that “studies published in the past several years show that polar vortex disruptions may be more likely as the Earth warms and sea ice in the Arctic melts, though this is an active area of research.” The basic idea is that Arctic warming is causing the jet stream to weaken and send cold air south. Cohen said a chain of events “then connects the effects of newly open ocean with events high in the atmosphere.” Francis and Cohen are regularly featured in news stories alleging a link between melting Arctic sea ice and U.S. cold snaps. The two scientists published a study last year claiming cold snaps are more likely when the Arctic is abnormally warm, but their work suffered from serious flaws, namely, it did not test any hypothesis nor did it try to establish causality between global warming and cold snaps. 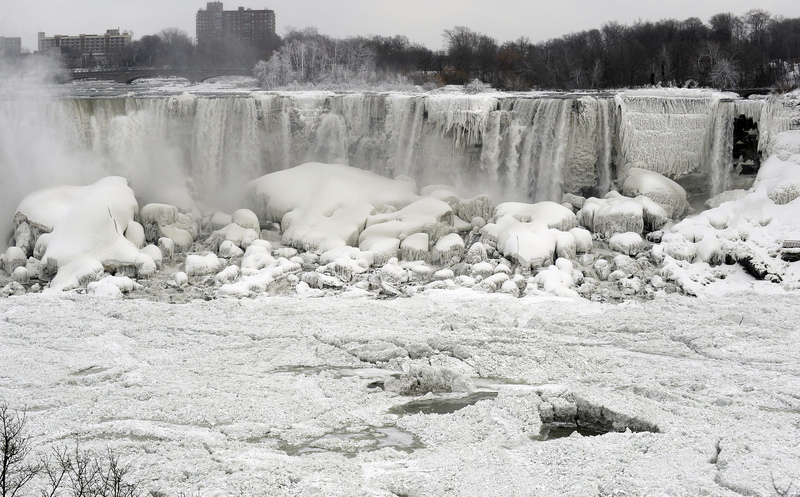 The U.S. side of the Niagara Falls is pictured in Ontario, January 8, 2014. REUTERS/Aaron Harris.